In an effort to deepen its relationships with younger consumers, Nescafé has made what could be considered a bold move. The company has ditched its corporate website in favor of Tumblr, a change that’s reportedly the first of its kind for a global brand. A visit to Nescafé’s new Tumblr highlights why the company made the move. First, the site is highly visual, favoring images and videos over text. A high-quality intro video pulls viewers into a quick montage highlighting the journey from tree to coffee cup. Traveling down the site, it’s not overtly obvious that Tumblr powers the site. The Tumblr page contains content that you would expect to see on a company’s website, from facts about Nescafé to how the company sources its coffee. The difference? It’s all completely sharable across a range of social media sites—including Tumblr. Tumblr’s influence and focus on engaging Nescafé’s millennial audience is more prominent when it comes to user-generated content, which plays a starring role on the site. There is an entire portion of the homepage dedicated to displaying fan’s Nescafé themed images, videos, GIFs, and more from Tumblr. 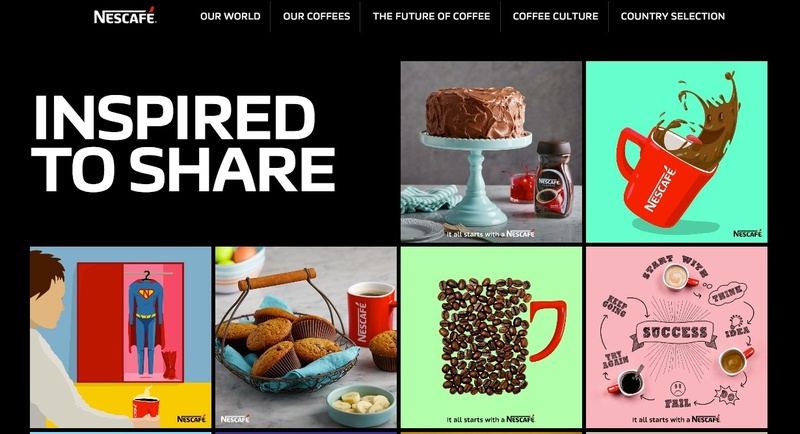 By migrating its websites, Nescafé can tap into Tumblr’s massive network of more than 250 million blogs and 110 billion individual posts for co-creation opportunities. The company will also undoubtedly benefit from the long lifecycle of Tumblr content and popularity of reblogging. At a recent 4A conference, Yahoo’s CEO Marissa Mayer cited that the average post on Tumblr gets reblogged about 14 times. The average sponsored post on Tumblr gets reblogged 10,000 times, underscoring the powerful reach potential—especially when paired with media solutions. So, does this mean that the corporate website as we know it is dead? Not entirely. The corporate website as we know it needs to be re-imagined for the age of customer experience management. In a time where companies strive to have real, human relationships with their customers, every touchpoint—including your website—presents an important opportunity to connect, build, and grow brand advocacy and loyalty. Companies can take a page from Nescafé’s playbook when it comes to re-imaging their corporate websites by embracing a customer-first mindset across all site elements, from design to user experience and content. Companies already have much of this knowledge at their fingertips, from page traffic to frequently asked customer service questions and social media conversation trends. But are they mining that data and translating it into a customer-first website experience? Companies with a good amount of user-generated content around their brand can also take a cue from Nescafé’s use of Tumblr to better integrate social media into their website. For companies without a meaningful volume of user-generated content, take a cue from Coca-Cola’s re-imagined website to leverage storytelling and thought leadership as a way to bring valuable content to life. By displaying their most popular stories, their team continually finesses their content calendar to be the most relevant to their community. 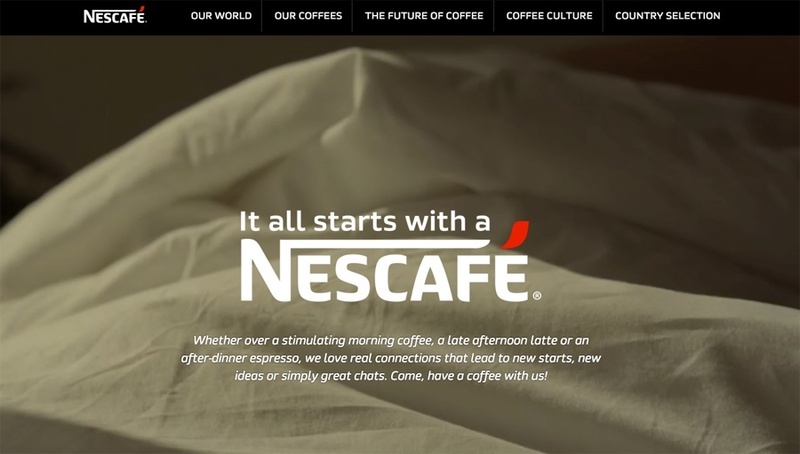 Companies like Nescafé could also expand on their website’s co-creation opportunities by dedicating a section of the website to take feedback or suggestions on new products, points of distribution, charitable programs, and more. Some companies also do this via advocacy communities on their website, with the end goal of showing customers that their feedback has been heard and implemented. Because in the age of customer experience management, knowing that you’re valued and heard makes all the difference.